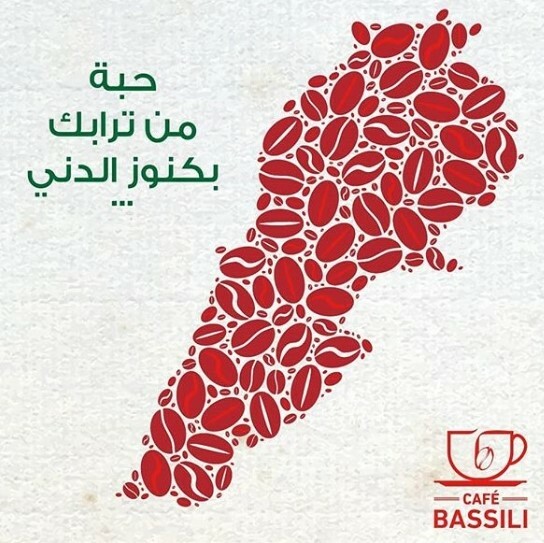 Well, "one grain of your soil for all the treasures of the world", so goes the Fairouz song adapted by Bassili brand on this Indepdence Day. That coffee grains usually come from Brasil is irrelevant I suppose.... Since the whole map of Lebanon was drawn in them. I like their logo however.